In My Mailbox (IMM) is hosted by The Story Siren. This is a weekly bookish meme wherein we show what we have received by mail, borrowed, or purchased and allows me personally to keep track of my TBR pile! In my mailbox this week is . . .
Well I finished my graduate school comprehensive exam on Friday! I haven’t heard the results yet, but it is over!! After writing non-stop for 4 hours and 40 minutes I decided it was time for a treat and what better treat than NEW BOOKS! My mom and I went to two different Barnes & Nobles throughout the course of the day and had a cozy mysterypallooza! 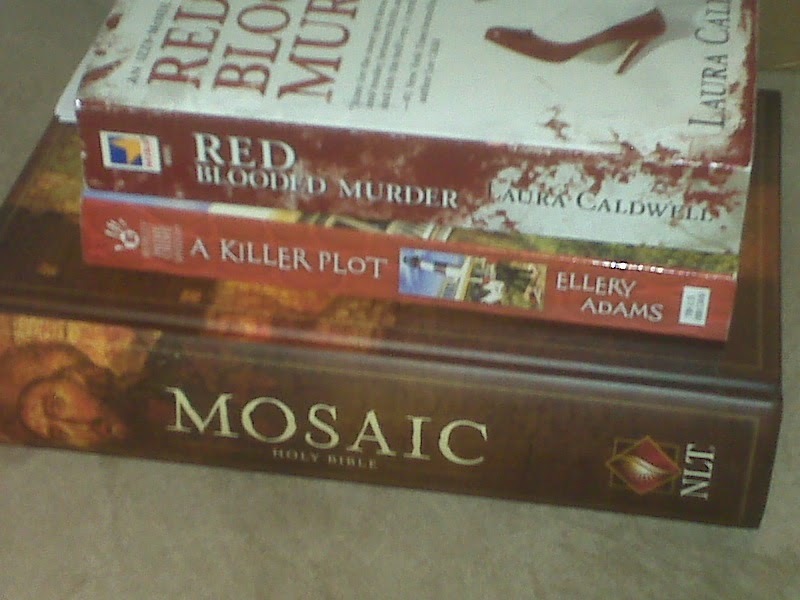 I just LOVE my cozy mysteries.